Let Us Tell You Our Story. 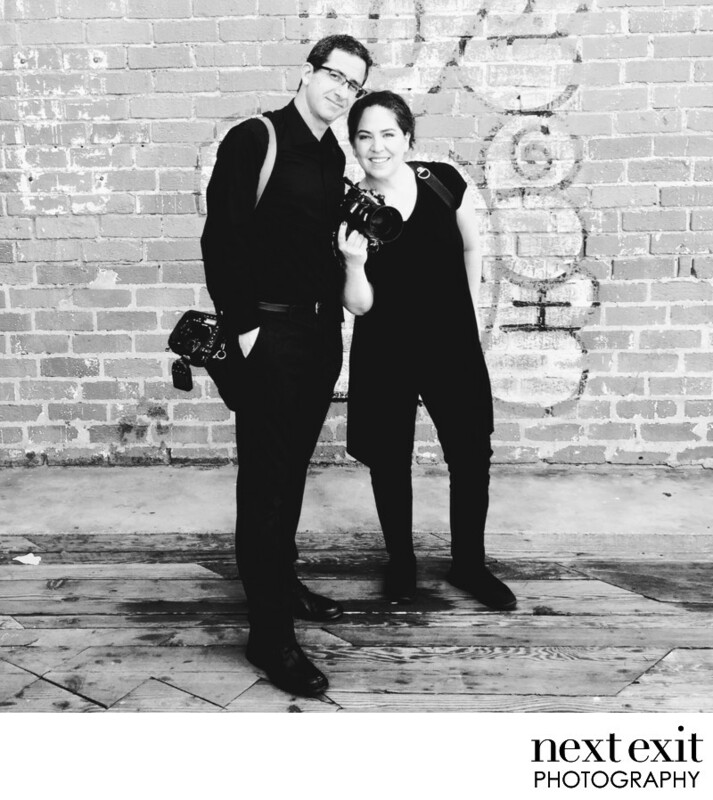 Cat and Adi Benner - we are Next Exit Photography - photographing Southern California weddings, events, bar and bat mitzvahs, lifestyle photography and portraits since opening our studio in 2003. Picture a happily married couple based in the amazing “suburb” of West Los Angeles that loves what they do every single day (taking pictures and making their clients endlessly happy), while loving each other and their two "perfect" children. We hope that you’ll agree that we are passionate and gregarious souls - loving art, world travel, adventure, daily trips to Trader Joe’s, Arsenal Football (Soccer) Club, gourmet cooking, good wine, tacos, and a maybe a little Netflix after the kids are asleep. Our amazing team has grown to become one of the most published and award winning photography studios in Los Angeles. And, we can't wait until our next assignment. 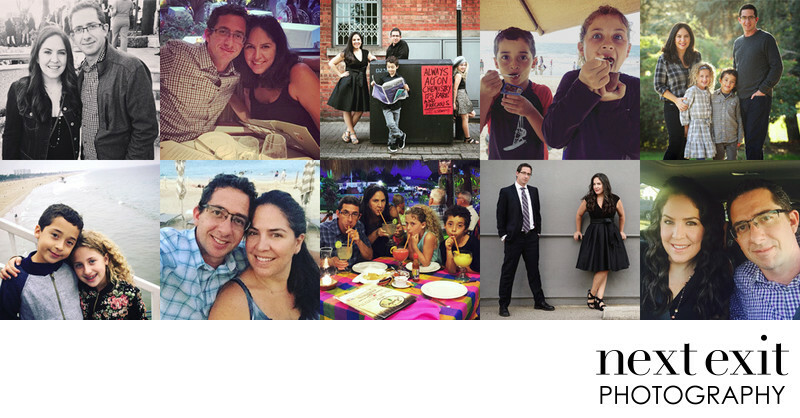 We specialize in photographing real people and finding authentic moments. It's what we do best. Our photography style is classic, emotional, colorful, genuine and unforgettable. So We Can Tell Your Story. Cat and Adi Benner are best known for their beautiful storytelling and impactful editorial people pictures. Their creative and comfortable approach, combined with boundless energy and determination, offer clients an unmatched quality of service that results in magazine-worthy images every time. They are the preferred photographers for the top event planners and venues in Southern California and are celebrated for determined craftsmanship, exquisite heirloom products, and superb client satisfaction. Through their lens, Cat and Adi document the most genuine expressions with their sense of humor, skilled technique and art direction and a unique penchant for capturing distinctive personalities. Next Exit will be by your side for most of your day. They know when to get involved and also how to stand back and let moments unfold naturally. Their goal is to make you and your family feel relaxed, joyful and connected to every real moment of your perfect day. Adi Benner has an exceptional documentary style approach. His innate skill for elegantly framing his clients in almost any environment, anywhere from a field of wild flowers to a florescent-filled fast food restaurant, has made him the picture perfect photographer for 1000 weddings and events over the past 2 decades. As a graduate of the USC Cinema School in 1994, Adi focused his studies in environmental portraiture and photojournalism both of which are the center of any solid event day coverage. Adi's sense of humor will charm you and disarm you. He is committed to your perfect day experience and the success of your final heirloom photographic product. Cat Krantz Benner excels in relaxed portraiture and capturing real emotion. She is a wizard at finding the ideal light and the most beautiful backdrops for her magical photo touch. Born in South Africa, Cat moved to Los Angeles when she was two, graduated from Tufts University in Boston and worked at Martha Stewart in New York before a stint running a successful party planning firm. During her early twenties, Cat carried her camera to nearly thirty countries learning to document the characteristic details of different customs and cultures. She returned to LA and attended Santa Monica College's rigorous school of commercial photography where she mastered the arts of composition, lighting, and portraiture.